A Private Tour of Oahu that allows you to get "Off the Beaten Path". Our tours are Personalized to suit your interests! Your vacation should be absolutely amazing! The best vacations are when you get to relax, let someone else plan your day, and experience the culture of your location and the real island (leave the commercialized parts of the island behind). Vacations can be stressful when you don’t know where to go, what to do, and later feel like you missed out on an experience of a lifetime. We will take away this stress and make sure that you get the most out of your time here on Oahu. 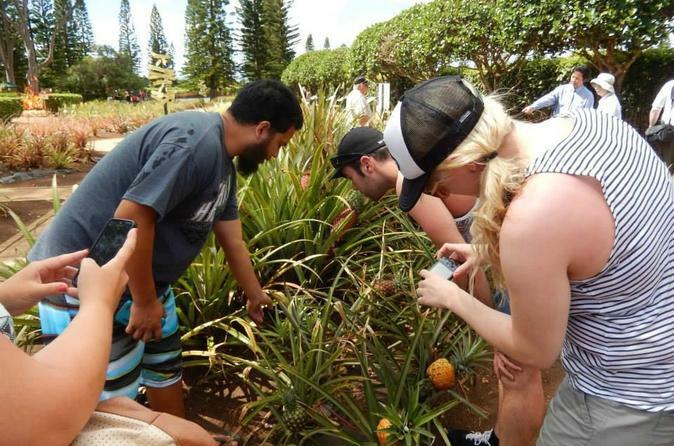 Spend the day learning about Hawaiian History and culture, explore hidden gems and go off the beaten path. We have a passion for the islands and love sharing it with our guests who want to see the real “gems" of Hawai'i. The places that have made us fall in love with Hawaii, this place that we call home. Experience Oahu through the eyes of a Local. A Private Tour means you get Your Day Your Way! Upon making a booking, we will contact you to find out your interests and any specific requests you have for your Private Tour. We will then customize an itinerary: Just for You (Nau Wale No). With other tour companies you are stuck with large groups and a restricted schedule right down to the place you eat and the stores you can shop at. We will take you where you want to go based on your interests and our favorites. Experience Hawai'i like an insider, you will explore at your own pace and not the pace set by the bus driver. You will get to spend as much time as you want at all the different locations. We are on your time schedule. You can swim and relax at the different beaches until you are ready to go. You can eat at restaurants that the locals love that tour buses do not go since these establishments cannot hold the volume of people on the buses. We will take you to shops that do not raise their prices for the tourists. We will stop at sites that the other tours cannot because of the size of their vehicle and due to the large crowds that go with their buses. Most popular requests include: waterfalls, turtles, swimming at beautiful beaches, lookout points, Hawaiian Culture, local foods, and Northshore. Prices Include: Vehicle, Tour Guide, Customized Itinerary, Taxes, and Pickup from the Waikiki/Honolulu areas. We provide the following items for you to use during the tour: towels, snorkeling masks, sunscreen,bug spray, bottled water, and light snacks.